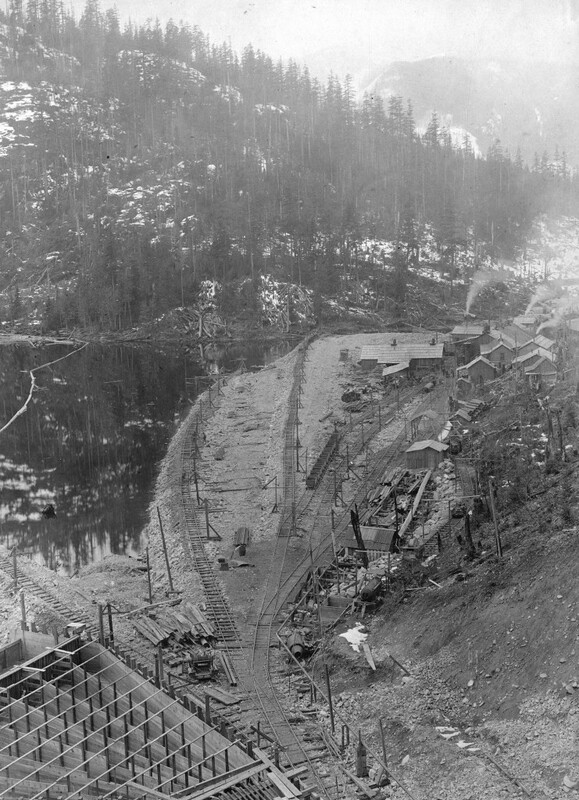 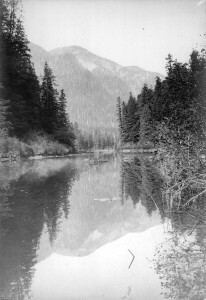 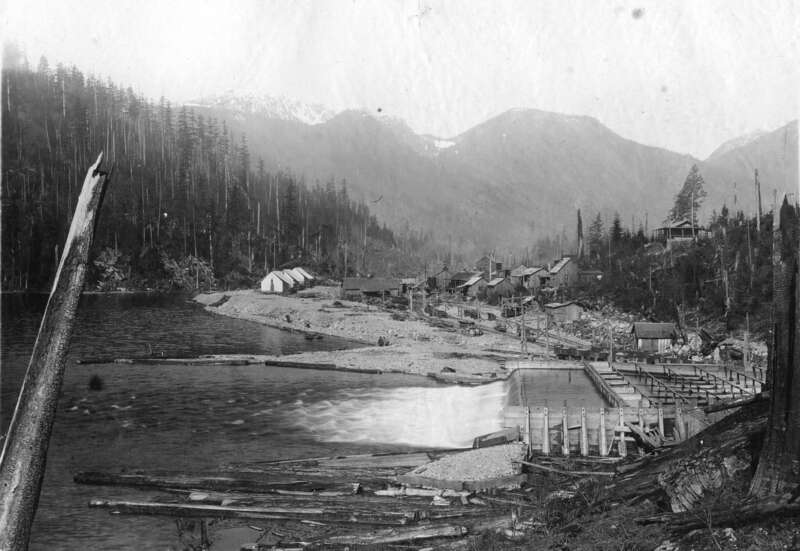 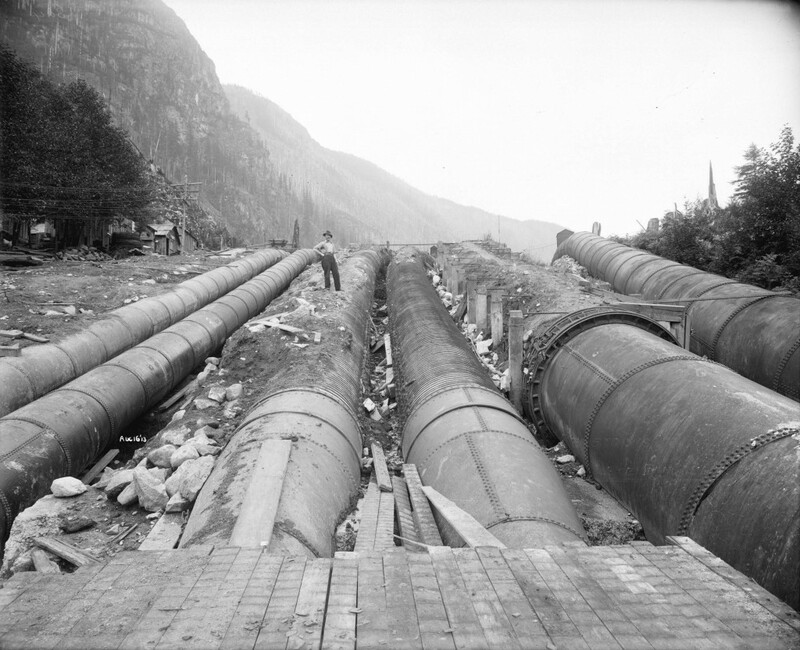 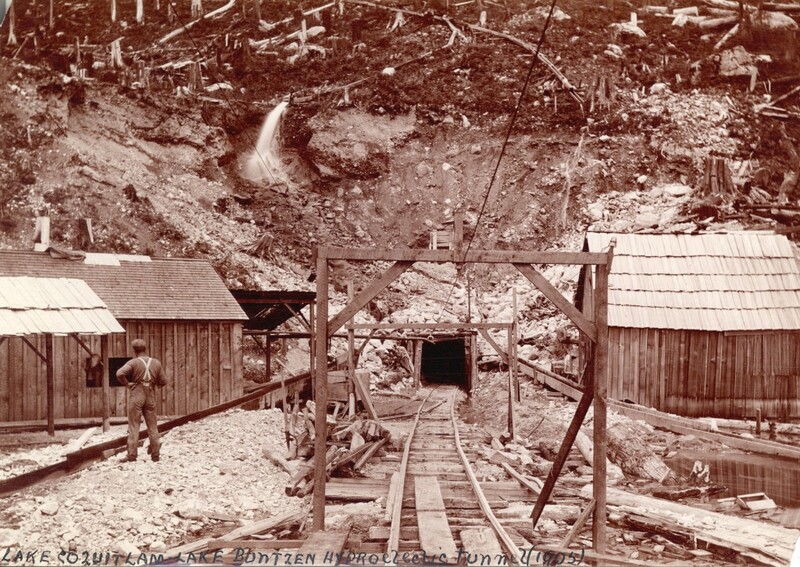 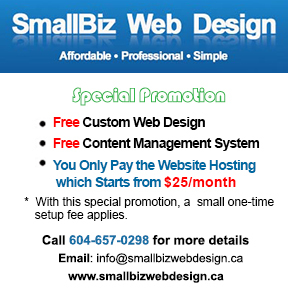 As mentioned in the History section, Buntzen Lake’s history as a hydroelectric reservoir dates back to 1903. 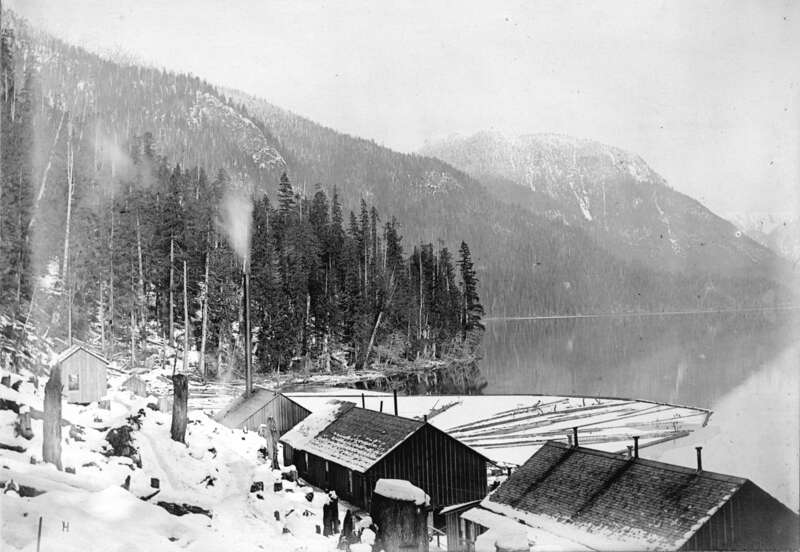 The following photos I found online from the City of Vancouver Archives. 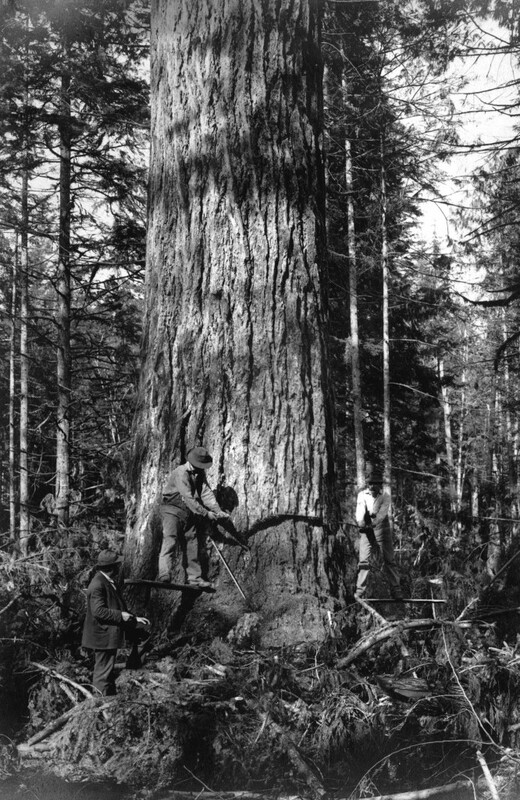 Below is a photo of a large tree being cut down. Note, the springboards used to stand on while the men saw through the tree. 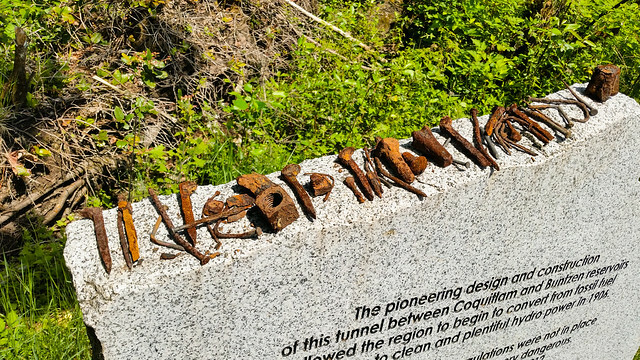 Walking around the Lake today, you can still see many large stumps with the springboard notches.